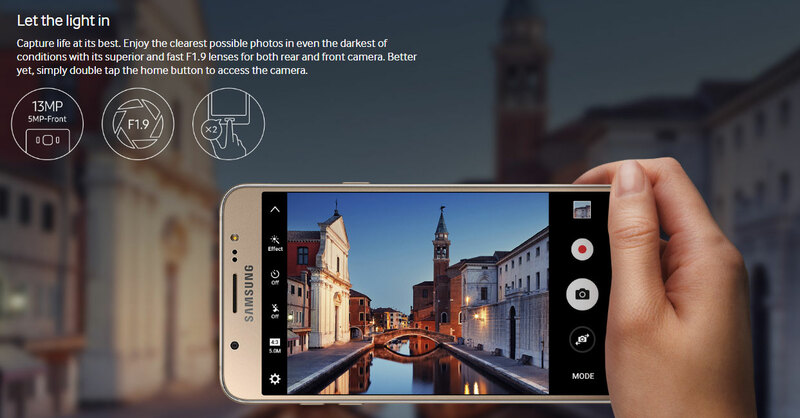 2016 model of Samsung Galaxy J5 and J7 has just been launched in India with a price tag of Rs. 13,990 and Rs. 15,990 respectively. Though the phone has already been released in April 2016, but it is today, that both the phones will officially be sold in India via Flipkart. Both the devices are quite similar except for display size, processor and battery. J5 and J7 will be available in four colors, i.e. White, Black, Gold and Rose Gold. Both the devices are dual SIM smartphone with 3G and 4G support. 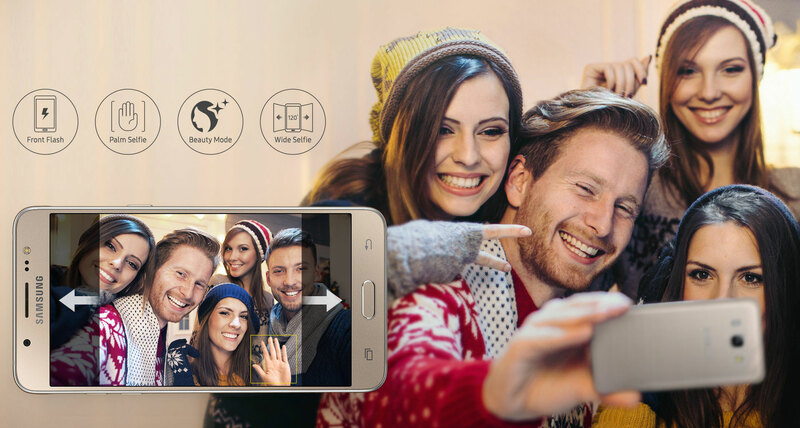 Samsung Galaxy J5 features a 5.2 inch Super AMOLED HD display inside a metallic frame, which measures only 8.1mm thin. The phone weighs around 159 grams and feels good in hand. It runs on Android Marshmallow out of the box with regular Samsung TouchWiz UI. The device is powered by Snapdragon 410 Quad core processor clocked at 1.2GHz accompanied with Adreno 306 GPU. It has 2GB of RAM and 16GB of internal storage. J5 support external memory card up to 128GB. J5 2016 sports a 13MP primary camera along with a 5MP selfie camera. It is backed with 3100mAh battery which delivers 96 hours of music playback. J5 2016 is priced at 13,990. Samsung Galaxy J7 2016 has a bigger 5.5 inch display. Like J5 it is a Super AMOLED HD display with a resolution of 720 x 1280 pixels. The device is somewhat heavier than J5 and weighs around 170 grams. J7 2016 also runs on Android Marshmallow with TouchWiz over the top. Galaxy J7 2016 is equipped with Exynos 7870 Octa core 1.6 GHz processor accompanied with 2GB of RAM and 16GB of internal storage which is expandable up to 128GB. The camera is similar to that of J5, i.e. 13MP primary and 5MP secondary. It has a bigger battery, i.e. 3300mAh. J7 2016 is priced at Rs. 15,990 and can be purchased via Flipkart. As you can see there is not a big difference between the two devices, and you can go for either device, though we recommend to go for J7 2016 which has bigger battery and faster CPU. But if you want to have a handy phone then you can consider Galaxy J5 2016. Some other devices to consider at similar price range are Lenovo K4 Note (Rs. 11,999), Micromax Canvas 6 Pro (Rs. 13,899) and OnePlus X (Rs. 14,999). To get more updates on Samsung samrtphones, stay tuned with us.